The Hjelle Jar ~ David’s new FREE tent! Dad and David took a walk downtown while Mom and I were shopping and found a free sale. 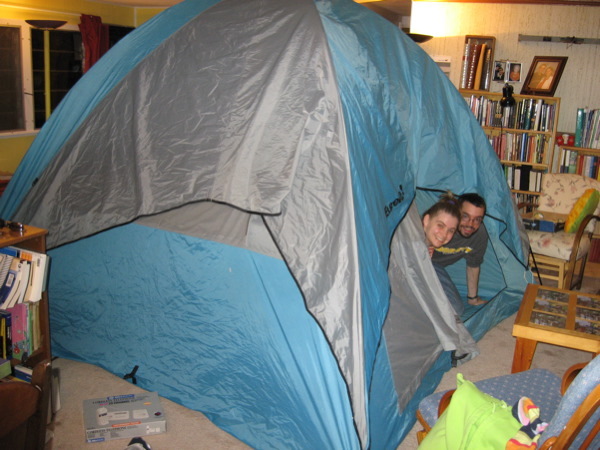 They picked up a tent and when we checked it out in our living room, it looks like they got a great deal!